London’s (well, nearly the entirety of Britain) has been hit with a scorcher of a heat wave this week, and today wasn’t an exception. Another day of 30 degrees heat, and sunbathing during my lunch break. After work I did a huuuge walk with my flatemate Claire as we went to buy Timmy (the binny, long story, he’s a rather delightful blue bin for our flat). We tucked into a full Indian dinner cooked by myself, and it was lovely! 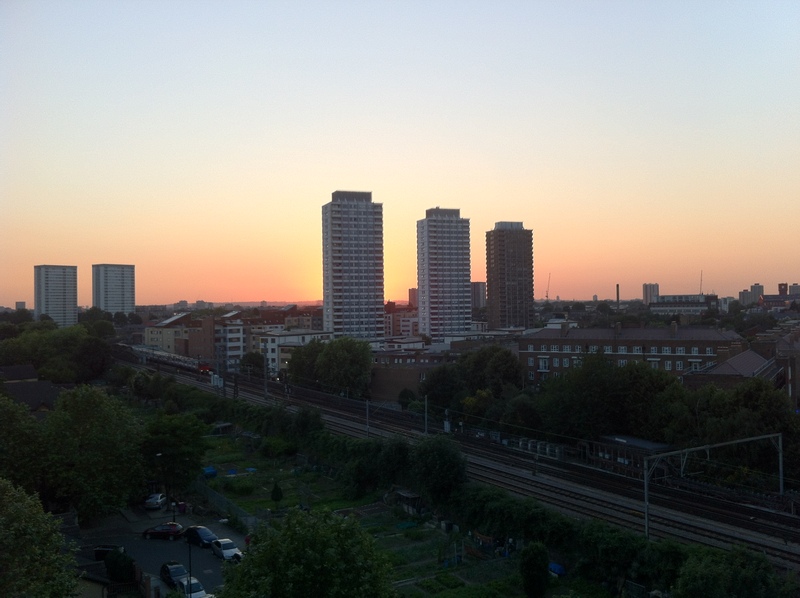 The summer days are leaving us with the most beautiful sun sets – taking this flat was one of our greatest ideas yet.